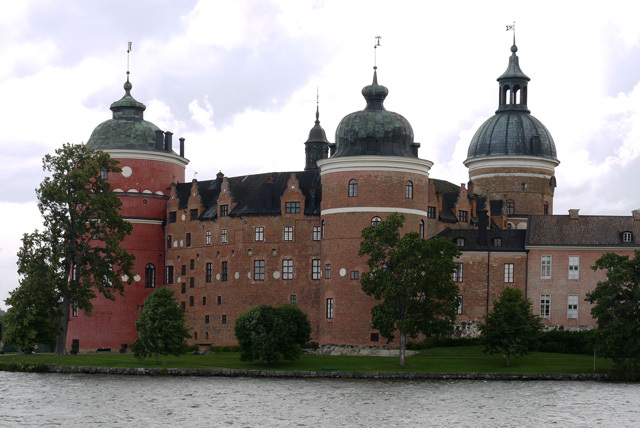 Notes: Gripsholm Castle (Swedish: Gripsholms slott) is a castle in Mariefred, Sodermanland, Sweden. It is located by lake Malaren in south central Sweden, in the municipality of Strangnas, about 60 km west of Stockholm.Since Gustav Vasa, Gripsholm has belonged to the Swedish Royal Family and was used as one of their residences until the 18th-century. It is now a museum.In 1822, the building came to host the National Portrait Gallery (Sweden), which was placed under the supervision of the Nationalmuseum in the 1860s. Between 1889 and 1894, the castle underwent a heavy and controversial restoration by the architect Fredrik Lilljekvist during which many of the 17th and 18th-century alterations were removed. The largest change was the addition of a third floor; the planned demolition of a wing did not take place. Now the castle is a museum which is open to the public, containing paintings and works of art. Part of the castle houses the National Portrait Gallery (Statens portrattsamlingar), one of the oldest portrait collections in the world. The museum includes a badly-stuffed lion which has become infamous in recent years.